In the cold of winter, who are you going to trust to keep yourself and your loved ones SAFE and WARM? WOW – I trust Stephen and the team at Hi-Tech Gas Services implicitly! I rent out several properties and have been utilising the services of Hi Tech Gas Services for well over a decade. The job gets done right the FIRST TIME, EVERYTIME! I have no hesitation in recommending this company to anybody! Thank you for coming so quickly to our home and fixing our gas-duct-heating-system. Greg was very efficient and did the job very well. The duct-heating is much quieter than before and we are very happy with it. 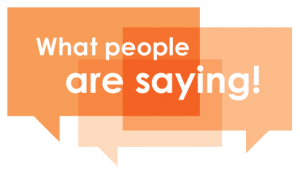 Just giving you feedback that John Montgomery who recently installed our gas heating is fantastic! A really hard worker, genuine, thorough, has great pride in his work and doesn’t cut corners. He even alerted us to a leakage problem and redid some plumbing work that had poorly done by a previous plumber that we had used. I recommend John without hesitation. Work was carried out promptly and efficiently. Top quality parts were used and I was more than happy with the price. Call these people if you have a problem with your home heating. I have recommended them to friends of mine and they too are very happy. Thank you. I first heard about John Montgomery from Stephen and Andy, Andy is a very thorough and reliable serviceman who had been looking after our central heating furnace for some years. Our unit was approaching 20 years old and Andy said something like ” it was already a miracle it is still going”, and that I will soon have to think about replacing it. “if and when you do” said Andy,” get in touch with John Montgomery who is one of the best people in the business when it comes to the selection and installation of a new furnace.” And eventually I did have to get in touch with John, and I immediately realised that this bloke who came along in his work gear to inspect, advise and quote, was a hands-on tradesman who was more genuine than one would expect, knew his business backwards, and talked long and knowingly about how we could improve the efficiency of our ducting, and the best unit for our purposes. Within 48 hours we had a detailed written quote – it was an attractive price compared to my expectations. Work started a few weeks later, the whole job took about a day longer than he had stated in his quote, mainly due to unanticipated underfloor problems, but he never suggested increasing the price for the job. We now have an excellent installation, a more efficient unit, and John has been back a couple of times for some “fine tuning”. This project has been one of the most satisfactory tradesman relationships I have had in 22 years living in our present home, and I would recommend John Montgomery to anyone contemplating a new furnace installation. Hi-Tech Gas Services has done two large jobs for me in the past year, from quote through to installation. One was our central heating, the other a new pool heater. Both jobs were done with the utmost professionalism, starting with competitive quotes from John Montgomery. Once we accepted the quotes, the work was done quickly, efficiently and neatly (cleaning up after themselves). I would not hesitate to recommend Hi-Tech Gas Services. …Just a brief note to thank you for recommending John Montgomery as an installer for our Braemar ducted heating and cooling system. John was very prompt with his quote and fully explained the installation requirements and associated costs… …John always turned up when he said he would and always put in a good day’s work. he completed the entire installation in quick time and left the work area clean and tidy each day. we could not have been happier with the entire process. We only wish all tradesmen we’ve dealt with were as professional as John. We invited John Montgomery to recommend options to install air conditioning in our home. Our invitation was based on advice from a friend that recommended John as an air conditioning engineer who would do an excellent job for us. John designed a system for us that incorporated much of an existing ducted heating system, upgraded a lot of the ducting for cooling and installed the refrigeration system. That much was excellent but expected. However, he also designed the system to cope with the next generation of our (ageing) heating system, he resolved some issues relating to changes in the Brivis system, personally checked the configurations and commissioned the system. All on budget, all very timely and all exactly as promised. John will fuss. He will fuss about your requirements; he will want to explain to you what he wants to build, how it should be built and how it should and how it should be configured. He will talk to you about your concerns, your requirements, and your future plans and explain how he will build your plans into his system. If you want a quick job, with a tradesman who will install a default system and hope it works with minimum input from you, John is not your man. If you want to be confident in the job, confident it will last and cope with later configurations and system requirements, and most of all be confident that he will install what you actually need as distinct from what you think you need John comes with my highest recommendation. He is that old-style engineer who actually cares and I do not think he would install a system that you might think you want, or you have been told you want, if he knows it is not what you actually need. In short, I’d use John again and I would not bother to seek alternative quotes or alternative advice on systems. I simply would trust John to do another outstanding job. I appreciate your excellent and professional service in addition your kind and helpful attitude.